This image hails from the golden age of the picture postcard, the early 20th century, when as many as a billion postcards were mailed per year. Postcard printers competed to produce cards for every holiday, and St. Patrick's Day was no exception. 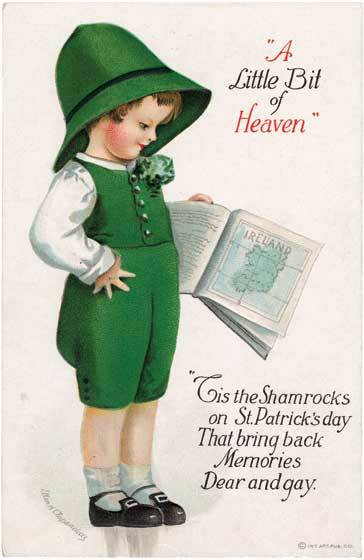 This particular postcard features a boy clad in green gazing fondly at a map of Ireland.